This ITIL template outlines and analyses the communications by various stakeholders in an organization. 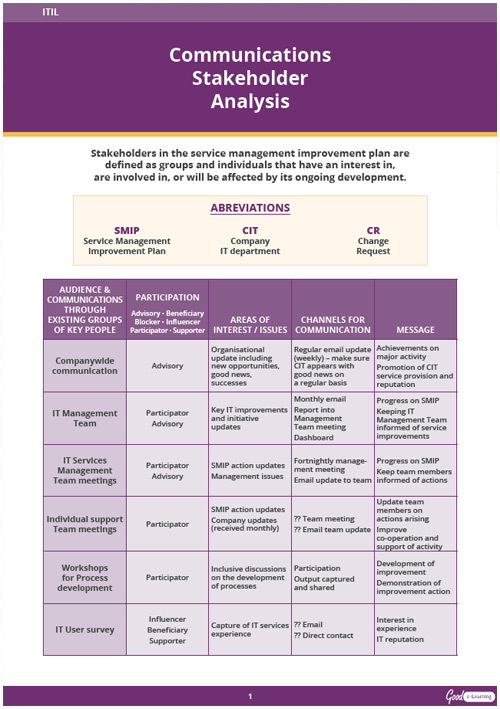 Stakeholders in the service management improvement plan are defined as groups and individuals that have an interest in, are involved in, or will be affected by its ongoing development. Download this free ITIL template and you’ll also get instant unlimited access to our entire library of 470+ business & IT learning resources for free!